Equipped with ISOFIX connectors to provide a simple, firm connection into a vehicle with ISOFIX anchorages. Side Impact Cushion Technology (SICT) which provides a 180° layer of protection around your child’s head and Active Head Restraint (AHR) that adjusts to protect your child as they grow. Thermo5 high performance fabric with bamboo means your child will travel in quality and comfort. Equipped with ISOFLEX Connectors to provide a simple, firm connection into a vehicle with ISOFIX low anchorages in conjunction with Top Tether. ISOFIX is an alternative method of installation that may reduce mistakes that are associated with traditional seat belt installation. Head Protection - Unique SICT layer provides 180 degree protection around a child’s head. SICT minimises the energy generated in a side impact crash. Designed specifically with deeper side wings that shield and contain your child’s head in a side impact crash. AHR grows with your child working with SICT to contain your child’s head and to minimise impact forces. Thermo5 High Performance fabric with Bamboo delivers the premium comfort your baby deserves. 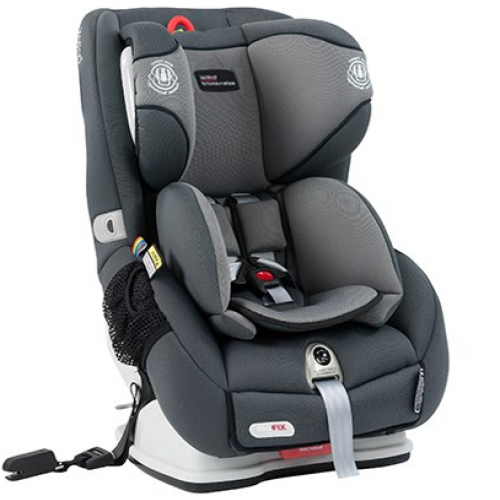 Single handed height adjustable headrest and harness allows the seat to grow with your child without the need to remove and re-thread the harness. Reducing the risk of incorrect installation and enhancing correct harness fit. This cushion includes EVA composite material that provides support and protection for a small baby absorbing energy during a side impact crash. Specially designed ventilation holes offer breathability and comfort. 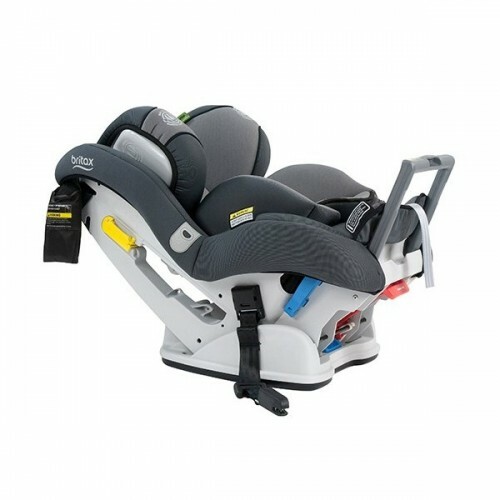 This system retains the harness buckle in a forward position and prevents the child from sitting on the buckle when boarding.